For many people travelling through Australia, a trip to the Whitsundays and the stunning Whitehaven beach (recently voted the top beach in Australia) is a highlight. I’ve been living and working in the Whitsundays for the past 6 months, and have seen many travellers cross my path. All have enjoyed their time in the here, but I’ve noticed that few people have properly researched the variety of trips available, which is a shame. There are many ways to experience the Whitsundays, so I’ll take you through some options which will help you make the most of your time in this beautiful part of Australia. Marooned off the east coast of Queensland, the 74 Whitsunday Islands are, for many people, the very definition of paradise. 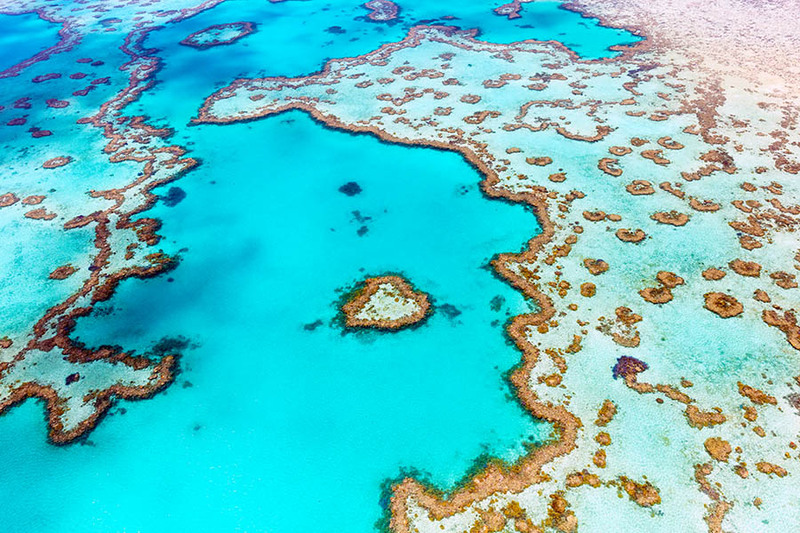 Mixing clear aquamarine waters, soft white sands and forested islands with the underwater wonderland of the Great Barrier Reef, this is a destination that is seriously difficult to beat. Sheltered by the reef, the calm waters are perfect for sailing, snorkelling, paddle-boarding and kayaking in the sunshine. The dreamy swirls of Whitehaven Beach may no longer be a secret, but if you're looking for a quiet retreat, there are plenty of castaway islands and uninhabited bay to explore. 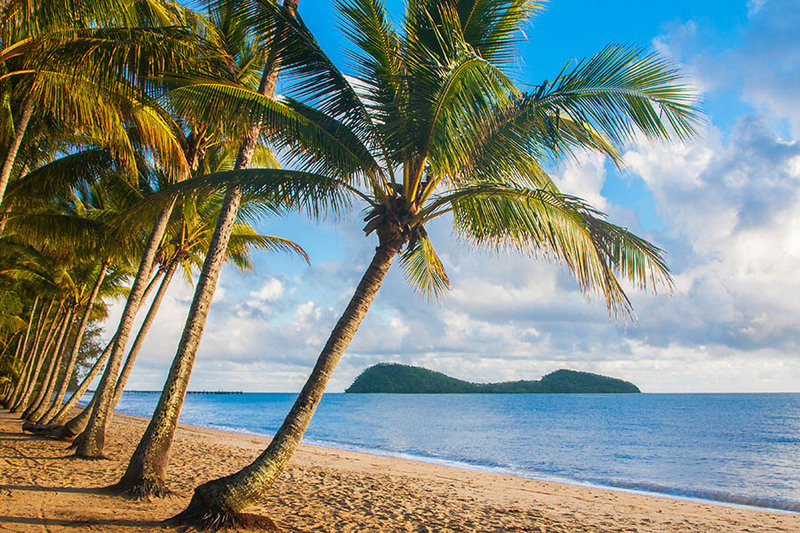 Only a handful of the islands are home to resorts, so can you either stay at one of the jumping-off points on the mainland for Whitsundays tours, book a multi-day sailing trip, or stay on an island. There's something to suit everyone, so you're bound to find the perfect spot for your Whitsundays escape. 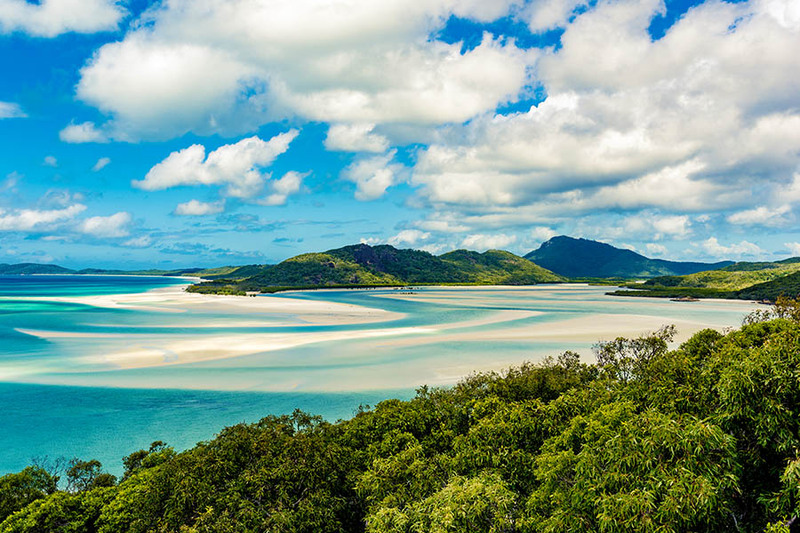 There are two main gateways to the Whitsundays; Proserpine and Hamilton Island. The majority of boat trips (especially the budget ones) depart from Airlie Beach. 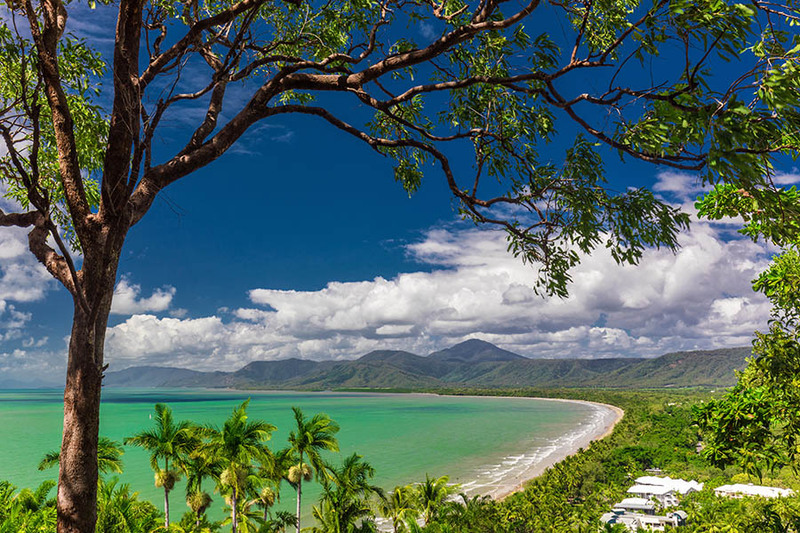 Proserpine is on the mainland, less than 30 minutes’ drive from Airlie Beach, the departure point for boat trips. Proserpine airport is the best option if you want to stay in Airlie Beach, where you'll find all kinds of Greet Barrier Reef tour operators. Airlie Beach is, notoriously, a backpacker hub, so bear this in mind if you're looking for somewhere quiet and relaxed. Airlie is home to a gaggle of backpacker hostels and budget accommodation located on a strip with plenty of bars and restaurants. Hamilton Island is your other option, just under an hour’s ferry ride from the mainland. 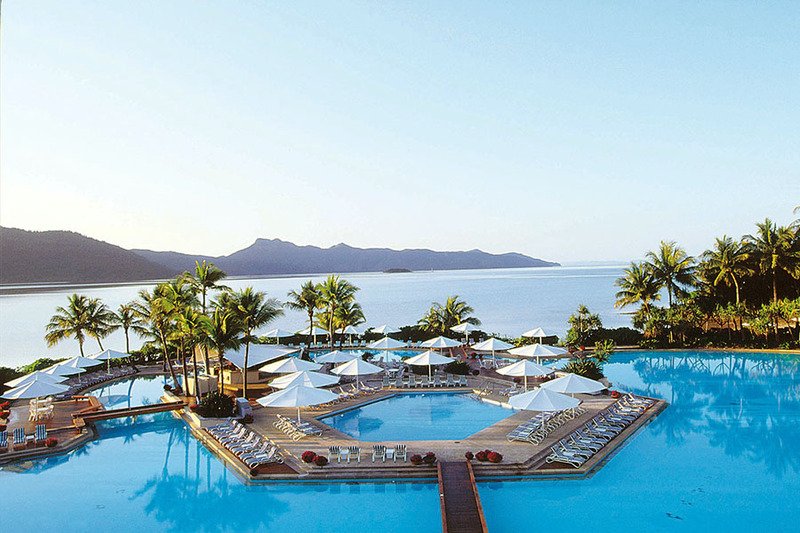 If you’re looking for a resort-style holiday with an element of luxury, Hamilton Island will tick all of the boxes. I highly recommend it. I flew to Hamilton Island, which made the trip very easy. The island is home to mostly upmarket beachfront hotels, each with spectacular views over the island. We stayed at the Reef View hotel which was a gorgeous place to relax after a long flight, but if you're on a special trip and ready to splash out, try Qualia lodge - it's one of Australia's leading luxury lodges and it's out of this world. You can organise Whitsundays sailing trips from Hamilton Island, and here you can snorkel directly from the shore. This isn’t possible from Airlie Beach. Hamilton Island has a small selection of beachside restaurants (I recommend Coca Chu for its Asian fusion dishes– the summer rolls are divine!) and essential amenities like a small supermarket, bakery and cafes. Most people choose a boat trip to explore the islands. Most boats will follow a similar route; a trip to Whitehaven beach combined with the opportunity to snorkel or dive on the reef. Whitehaven, the most famous beach in the Whitsundays, is a huge distance from Airlie Beach, so you'll need to book a superfast boat tour if you're planning to do a day trip. There can be big differences in comfort levels between the standard of the boats and the clientele of the trips, so it's best to check out your tour properly before booking. These are ideal for families, those short on time and anybody who would prefer to sleep on dry land. Day trip operators use a faster boat which will whip you around the Whitsundays in a day, taking you as far as Whitehaven Beach and bringing you back to your hotel at night. Big Fury or Mantaray charters are perfect for this and Mantaray includes the option to dive as well as snorkel. Mantaray and Big Fury are both motor boats, so if you get your kicks from sailing, try a day trip on the Derwent hunter instead (a maxi sailing vessel). For backpackers, adventurous couples and the young at heart. Many of us would feel out of place sharing our Whitsundays experience with a bunch of backpackers who are drinking and comparing selfies, so it's really important to pick your sailing trip wisely. A large percentage of overnight Great Barrier Reef trips cater to the backpacker market and involve sailing around the Whitsundays with 25 others, sunbathing on deck, snorkelling and toasting the sunset with too many glasses of goon. Sleeping conditions are basic, with the cheapest boats having open plan bunks and little privacy (fine for those that are used to hostel dorms). If this isn't your scene, make sure you check out your tour operator before making any commitments. There’s a huge difference between a boat like the Atlantic Clipper which houses up to 50 people (the Whitsundays’ only real “party boat”) and the more couple-orientated Whitsunday Blue which only sleeps 8. 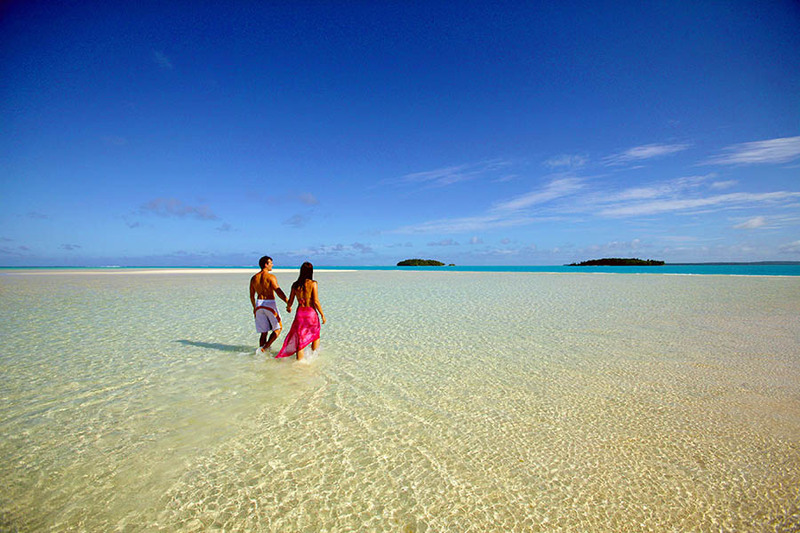 To get the best out of your time in the Whitsundays, choose your sailing trip wisely. These sailing options suit freedom-seekers who want to plan their own Whitsundays tour. If you want the freedom of setting your own Whitsunday sailing agenda, you can charter a boat and sail yourself. These charters are incredibly well organised, with all the information needed to plan your route and constant contact with staff on base to get advice on anchorage spots and the latest weather reports. As most boat tours take what is lovingly referred to as the ‘milk run’, they tend to visit the same islands and snorkel the same spots; so chartering your own boat can take you off the beaten track to less-visited islands. No formal sailing qualification is required, but some sailing experience is a must. If you don’t have any experience, you can hire your own skipper who will take the stress out of your hands and even teach you some skills for next time. This one will appeal to dare-devils, romantics and those who don’t want to sail! Last Christmas I was gifted a flight in a Tiger Moth which was an amazing experience. You can opt for the adventurous ‘acrobatics’ option (which I did - not for the faint-hearted), but you could choose a simple scenic flight over Whitehaven and beyond. If you're not in the market for an adrenaline rush, book a fixed-wing scenic flight or helicopter trip. 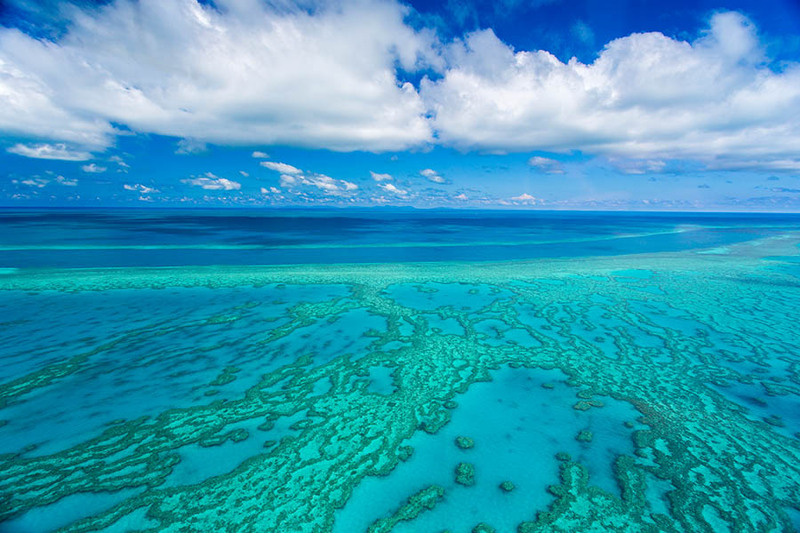 Flying over the Great Barrier Reef will give you a sense of its vast scale and you'll be able to reach parts of the reef inaccessible by boat, such as the iconic Heart Reef (above). Honeymooners definitely shouldn't miss the chance to fly over this perfect heart-shaped reef floating in bright blue waters. It's possibly the most romantic place on the planet! This one is for visitors who want to see a bit of everything! If you’re travelling in a group and some people want to dive, whilst others fancy a helicopter flight and others want to sail and sunbathe - how do you choose what to do? Reef World gives you a bit of everything. A 3-hour trip from Airlie Beach (2 hours from Hamilton Island) will bring you to Reef World - a pontoon next to Heart Reef. 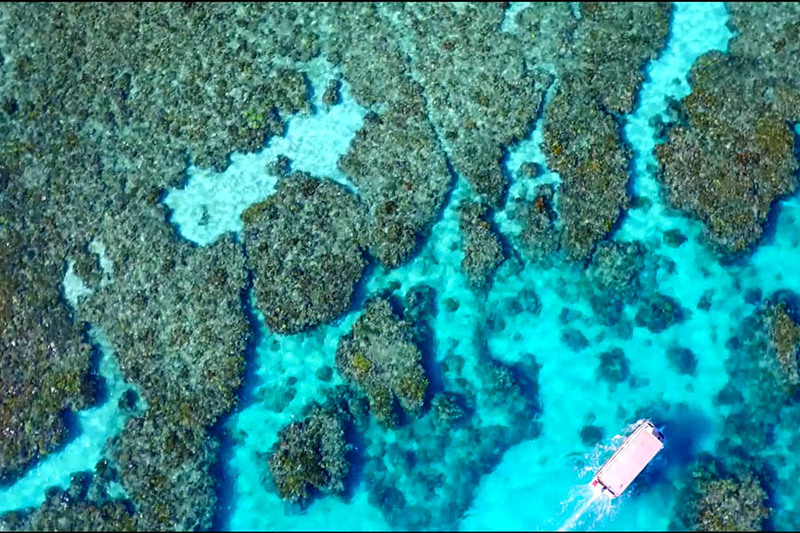 From here, you can snorkel, dive or take a helicopter flight to see the reef from above. If don’t want to get into the water, you can opt for a semi-sub tour with views of the reef and a guide talking you through everything without getting wet. Trips here allow for you to spend 4 hours on the pontoon which is plenty of time to try a few different activities. If you choose the ‘Reef Sleep’ option you can also stay over, which means you’ll settle down under the stars in a comfy swag and watch the sun go down with a sumptuous BBQ dinner. Staying overnight means you can do a night dive, plus you’ll have the following day to experience all the activities on the pontoon too! The nearest international flights into Australia arrive in Brisbane or Cairns. From there, you’ll want to fly into Hamilton Island or Proserpine. Many people rent a campervan and make their own way up to Airlie Beach, or work the Whitsundays into a bigger Australian road trip. We can book a wide range of Whitsunday sailing adventures from day trips to liveaboards; majestic tall ships to exclusive catamaran adventures. Contact us for a recommendation and for an idea of what would suit you best and we’ll find one to suit. If you’d like to plan a trip to Australia and the Whitsundays, we can talk you through all the options and help find the most suitable way to do this. Most trips can be booked as ‘open-dated’ through Travel Nation, which means you can cover the cost in advance, then choose your exact dates when you arrive in the Whitsundays! 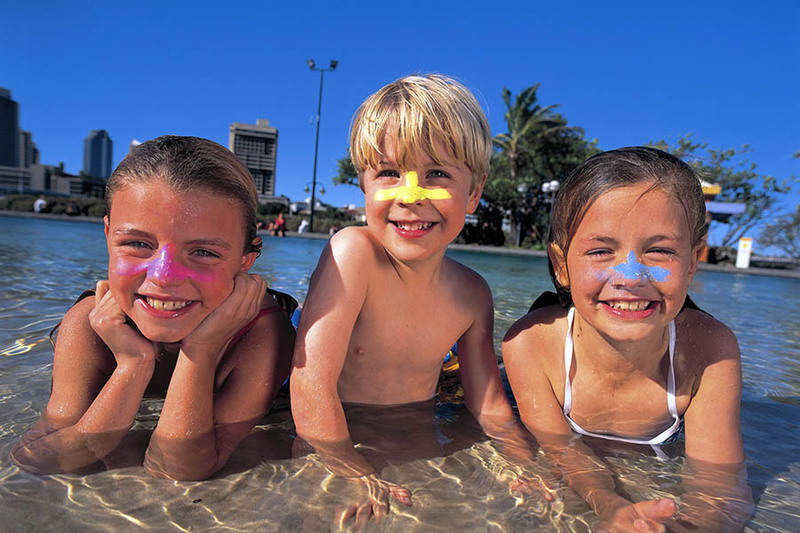 To plan a trip, call one of our Australia specialists on 01273 320 580 or request a quote by email.